This paper elaborates on Merton's theory of anomie, while aiming at the enhancement of our understanding of processes conducive to corporate deviance. It attempts to consolidate points made by theorists operating in diverse, often considered as conflicting, orientations or perspectives. A “synthetic” or “integrated scheme” is, thus, put forward, which can help appreciate the background against which corporate deviance is likely to occur. Moreover, it is argued that contemporary societies are inherently conducive to anomic trends. Such trends bring about not only lower-class deviance and crime — to which anomie theory has been traditionally applied — but also high-class and corporate deviance. Against claims by some scholars that the former is a matter of greater concern, it is suggested that the latter is at least as serious a problem and that it has significant implications for the social order. 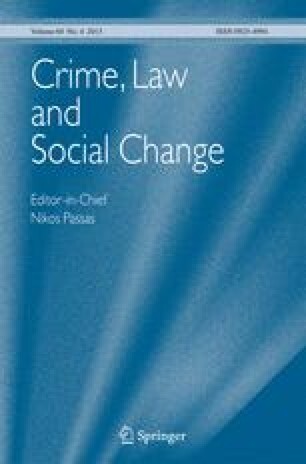 Parts of an earlier version of this paper were presented at the 10th International Congress for Criminology held in Hamburg, FRG, in September 1988.